Ubisoft, what are you doing? No one wants Uplay forced on their Steam games. No one wanted tower defense in Assassin’s Creed. And no one wanted Splinter Cell to be a shooter. 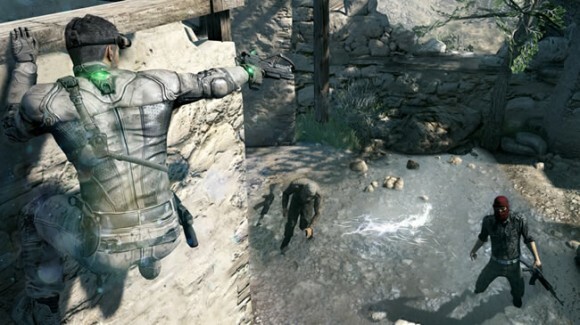 The action heavy tone doesn’t do a disservice to Splinter Cell’s stealth mechanics. I’d hoped after one more lukewarm response to a major franchise you’d give up this homogenizing nonsense, but it doesn’t look like that’s going to happen here…. because sadly Blacklist is just too much fun for me to hate it. I wanted to, I really did. I thought I could just rent it and play it through on a weekend, not worrying about whether or not I’d finished it. But somehow it sucked me in. Perhaps it was the seamless integration of the co-op and versus modes into the campaign. Maybe it’s the adapted stealth system they evolved from Farcry 3. Maybe it’s just the fact that I’ve taken a two year break from military shooters and my immune system forgot how to reject them from my body. The Splinter Cell series has billed itself as the dominant Stealth ‘Em Up franchise of late, being more main stream than Dishonored, less zany than Metal Gear and having more games than Hitman and Thief. 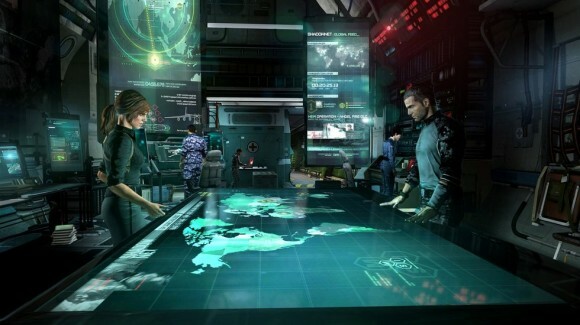 The last major release in the series, Splinter Cell: Conviction, saw the inclusion of many combat centric elements, changing the dynamic from spy to assassin. Many fans, myself included, saw this as a change for the worse. It seems that since then Ubisoft has been subtly testing and refining these mechanics in its other games before making another run at Splinter Cell. The Blacklist attacks all focused on conceits of American culture. For that matter “American Culture” is the name of one of the attacks. The group’s goal is to get the American military to withdraw from all foreign affairs. And that’s literally the entire story. Clearly the game thinks there’s more story to it than that, but opting for the “opposite day” approach to game narrative, you will actually understand less about the plot the more you play. It isn’t confusing. But as the characters discover that plot X was a decoy, or motivation Y was a cover, the story doesn’t actually fill these gaps in with anything. By the end literally nothing is known about why anything in the game even happened or whether it’s over. This doesn’t even seem intentional, just sloppy. You could say they’re leaving it open for another game, but it seems more like they left it open for a first game. But I said I liked this thing right? I think that was written somewhere up top. So yeah, about that. You know all those things I and many others hated about Splinter Cell: Conviction? Well they did again, only this time it works. 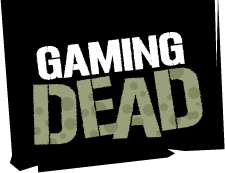 They refined the tagging and executing mechanics in Ghost Recon, pulled the detection system from Farcry 3, pulled the motion capture stunt team from Assassin’s Creed and made a stealth ‘em up action game that’s a thrill to play from start to finish. You don’t have to be behind enemies to take them out anymore. As enemies see you and you see the radial detection meter filling you frequently have that brief moment of indecision where you gauge whether you can make it back to the shadows or have to deal with this threat now. If you choose the latter, a host of options are available to you. In that split second you may decide to strangle your foe lethally or nonlethally, throw a smoke bomb, a flashbang, or other gadget. If you had planned for this contingency you may have marked him as a target ahead of time, enabling you to flawlessly execute your target from a distance without making a sound. All these options flash in your head within the split second you hear the sound indicating you’ve been spotted, and all of them can be pulled off fluidly as if you’d planned it all along. This is what Ubisoft calls Killing in Motion and it was the central focus of the game’s combat design. Killing in Motion isn’t all they’ve refined. The level design makes for thrilling pacing that most Splinter Cell games lack. You’re not punished for mistakes in Blacklist with a level full of alerted guards and negative points in the final scorecard. The objectives, rooms and obstacles change with enough regularity that if a mistake is made you can clean up the mess and move on. Moreover the game rewards different play styles. When you mess up and get detected, do you tell your roommate watching over your shoulder that you planned it that way? Well Blacklist has your back. Each level wraps up with a scorecard that will find the silver lining in every mistake. What’s that? You got spotted by five guards so you threw a smoke bomb and shot wildly at them? I think you mean you got assault points for your clever use of a gadget based ambush! It may seem like coddling, but negative scorecards were one of my biggest gripes with Dishonored. It’s good to see them being used to encourage, rather than discourage players. The action heavy tone doesn’t do a disservice to Splinter Cell’s stealth mechanics. It does, however, throw some dissonance on Sam Fisher. The game’s protagonist is in his 50s. He’s described by his long time voice actor, Michael Ironsides, as being a weapon the government has used too many times. None of this depth is present in the gameplay. Or in the voice acting. Unfortunately Blacklist commits an unforgivable sin, removing Ironsides from the role of Sam Fisher. The justification for this was that they wanted an actor to do both the motion capture and voice acting at the same time to get a theatrical “full motion capture” performance. This ruins the character. This person simply isn’t Sam Fisher. So whenever previous continuity gets mentioned in Blacklist, it just feels out of place. This devastates an already crippled narrative to the point of incoherence. 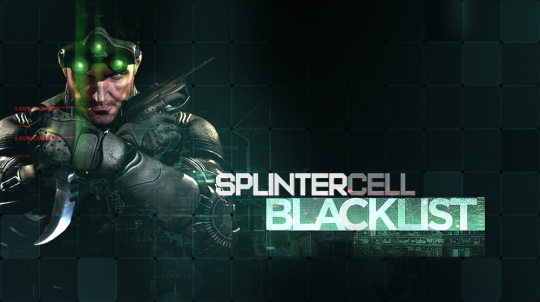 No fan of Splinter Cell would be wrong to feel betrayed by Blacklist. I implore them all the same to give it a try. 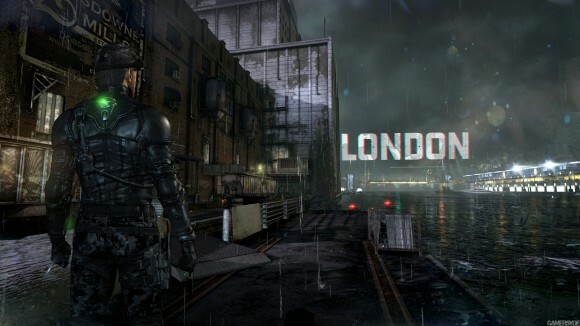 Sam Fisher may be dead to you, but this is stealth and action gameplay that just can’t be missed. The voice acting isn't bad, it just isn't Sam. The motion capture is top notch. The story starts out strong but ultimately fails. However the multiplayer merged seamlessly with the campaign world is a nice touch. You'll feel like a badass even when you screw up, and when you don't it's even more exhilerating. I had to tilt this up for the excellent gameplay. It makes some bad decisions with the narrative, but it's got it where it counts. *Not an average. Click here for ratings rubric.